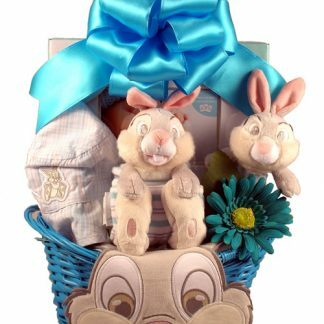 Welcome the new duo in style with this over sized twins basket that is overflowing with gorgeous gifts, keepsakes and handy helpers! 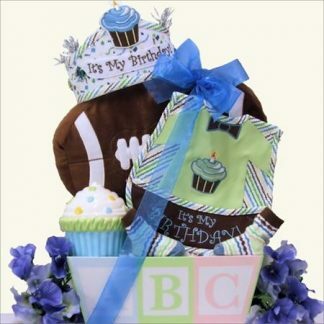 It includes two white baskets with fabric liners that will be handy shelf organizers for all kinds of baby stuff. 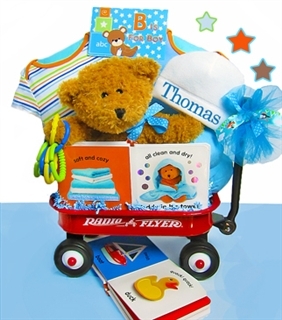 We have filled them with the following items, two large and very soft appliqued baby blankets available in either pink or blue, two plush bears in either pink with a “It’s A Girl” shirt or blue with a “It’s A Boy” t-shirt, two plush animal rattles in pink or blue, two different hardcover baby books and for the proud and deserving parents, two boxes of assorted gourmet Chocolate and Butter Cookies and two “Baby Bits” gourmet snack Mix in either Pink or Blue! 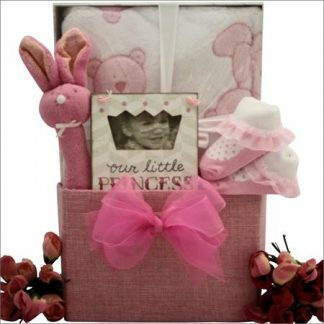 This gift is so adorable and twice as nice as any other!! 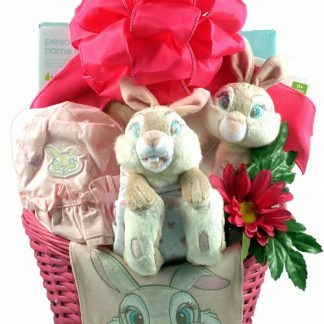 Need a triplets basket? Not a problem, just call our customer service department for pricing.